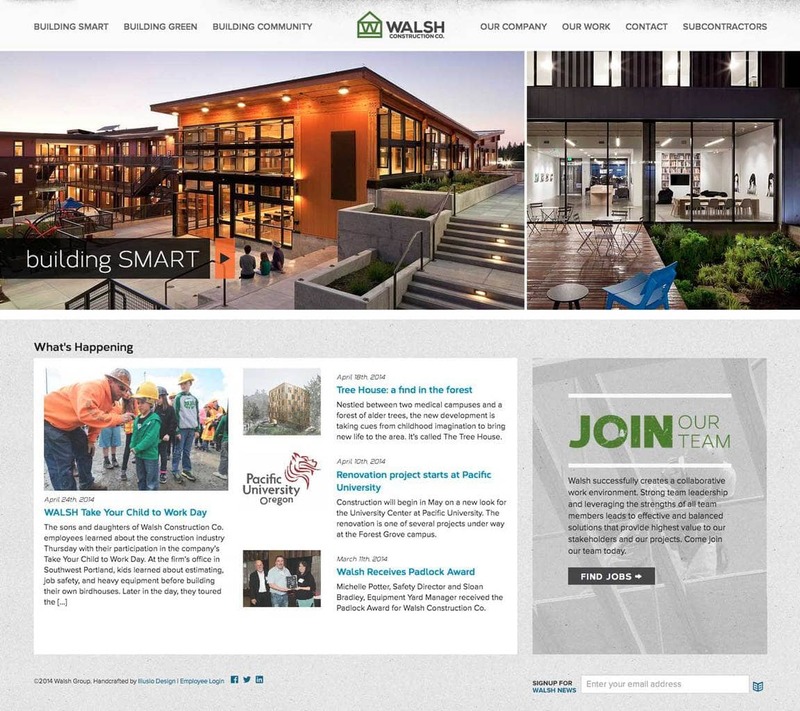 Walsh Construction knew they were missing market share and not keeping up with their competition with their old website. Mobile users were unable to access the site consistently, the site was hard to maintain, and the design was dated. Working with Illusio Design, we implemented a great new website design. We utilized WordPress and it’s ability to create custom post types, meta data, and other backend features to ease the management of their content. With the help of ZURB’s Foundation 5, the site is also fully responsive and accessible on any device or screen size.